Product prices and availability are accurate as of 2019-04-21 10:46:29 EDT and are subject to change. Any price and availability information displayed on http://www.amazon.com/ at the time of purchase will apply to the purchase of this product. 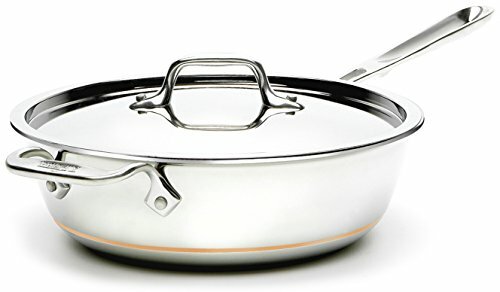 Shallower than a classic sauce pan, the saucier is designed for foods requiring frequent stirring or whisking, including creamy sauces, risotto, polenta and custards. The pan's wider mouth allows for sauce reduction, while its curved sides allow for easy incorporation of ingredients.